One of six people accused of killing a 17-year-old last year was expected to take a plea deal Monday. Police said 14-year-old Emily Ball lured Travis White to a Covington home more than a year ago, where the 17-year-old was beaten and stabbed to death. In court documents, Ball claimed that White had previously assaulted her. Despite her age, Ball's case was moved to adult court, where she pleaded not guilty. Officials said Ball was expected to take a plea deal Monday, but Ball's attorney said she's been unable to meet with prosecutors to work on an agreement. One of the youngest children ever tried for murder as an adult in Kentucky's courts will not claim a mental illness when she is tried on a murder charge next month. Lawyers for Emily Ball, 16, made the announcement Monday to Kenton Circuit Judge Martin Sheehan. 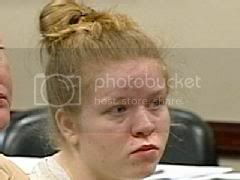 She was only 14 when she was charged with one count of murder for the death of Travis White, 17, of Covington in February 2009. The trial is to begin Feb. 15. Ball is too young to be eligible for the death penalty but faces up to life in prison if found guilty of murder. She has been at the regional juvenile detention center in Newport since her arrest in March 2009. Ball told two co-defendants, Brian Golsby and Kasey Dodson, that White assaulted her and that she wanted him dead, according to court records. Ball knew that Golsby and Dodson were laying in wait - with a knife - for White, those records state. An autopsy showed that White suffered at least 43 wounds from being beaten with various objects. White was stabbed or slashed at least 31 times, according to court records. The evidence indicates Ball was present when the assault began but left her home shortly after it started, according to court records. Ball lived with Golsby and Dodson in the home along with her younger brother, who she was caring for after her mother was locked up on child neglect charges, according to court records. Authorities say Ball made no attempt to contact police or render aid to White, despite living a short distance from the Covington police station. After the attack, investigators claim, Ball acted as a lookout as the body was rolled in a carpet, placed in a garbage can and dumped near railroad tracks. While Ball has rejected a plea offer, but Golsby and Dodson have pleaded guilty to murder. Golsby, 28, is serving a life sentence at the Eastern Kentucky Correctional Complex in West Liberty. Dodson, 23, is serving his life sentence at the Kentucky State Penitentiary in Eddyville. One of the youngest female juveniles ever to be charged with murder in Kentucky�s adult courts pleaded guilty Tuesday to lesser charges. Emily Ball, 16, was found guilty in Kenton Circuit Court of first-degree conspiracy to commit assault, first-degree unlawful imprisonment and tampering with physical evidence. Prosecutors will recommend a 15-year sentence when Judge Martin Sheehan sentences Ball on Feb. 28. She was too young to be eligible for the death penalty, but Ball faced up to life in prison if she had been found guilty of murder. Her trial was set to begin Feb. 15. She is the last of six people � and the only juvenile � to be convicted in connection with the killing of Travis White in February 2009. Ball was 14 when she lured White, 17, into a fatal ambush at her rental house in the 1800 block of Madison Avenue. She was living at the home with co-defendants Kasey Dodson, 23, and Brian Golsby, 28, after her mother was locked up on child neglect charges. White�s family wasn�t present for the plea, but Assistant Commonwealth�s Attorney Jim Redwine said after the hearing that the family understood the prosecutor�s rationale behind the decision. Redwine told the judge he amended the charges down because of Ball�s age and the fact that she didn�t directly participate in his killing. Ball admitted that she told Dodson and Golsby that White had physically assaulted her because she refused to �sleep� with him. Ball later admitted to investigators that she lied about being assaulted. Ball, Dodson and Golsby then conspired to lure White to the home. Ball was there as Dodson and Golsby were lying in wait with knives. The two men immediately began to attack White. Ball never attempted to get help for White, despite living within walking distance from the police station. On the following day, Ball served as a lookout as Golsby, Dodson and two other codefendants put the body in a wheeled trash can to move it from the house�s basement to nearby train tracks. Ball�s public defender, Casey Holland, said it was a difficult plea negotiation for the defense team that included lawyer Amanda Mullins and investigator Doug Blair. �I believe all three of us ... broke the cardinal rule of being a defense attorney � we got emotionally involved in our client,� Holland said after the hearing. �The horrific history of abuse and neglect that (Ball) suffered and the courageous way she has dealt with it was inspiring to us. He said that during the two years Ball has spent in juvenile detention center awaiting trial she has earned an inch-thick file of awards and certificates. She even made the honor roll. �The best I can tell, it is the first time in her life she has had any real structure and support � and she has blossomed,� Holland said. Ball�s mother had been jailed prior to the killing after child protective services came to the house and found that the heat and electricity had been cut off for weeks. Ball was also wearing an ankle bracelet monitor ordered after she began to skip school. Holland said he has been unable to obtain records from the Kentucky Cabinet for Health and Family Services to find out why Emily was left in the home with Dodson and Golsby and her younger mentally impaired brother, who was 12 at the time. �I�m as just as interested to know as you are,� Holland said. A message left with the cabinet was not returned. Redwine said the facts concerning the cabinet�s involvement with Ball have not been factually determined in his mind. He said what he did know about Ball�s overall history, and that Ball�s situation in the week or two before White�s death was a factor in beginning negotiations and coming up with the plea agreement. �I�m sorry for her, and I�m sorry for her situation, but I have no problem, whatsoever, holding her accountable for her role in Travis White�s death,� Redwine said. 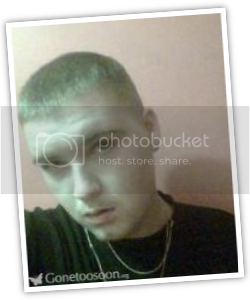 The last of six people � and the only juvenile � to be convicted in connection with the killing of Travis White will be sentenced today by Kenton Circuit Judge Martin Sheehan. Emily Ball, 16, pleaded guilty Feb. 1 to first-degree conspiracy to commit assault, first-degree unlawful imprisonment and tampering with physical evidence. She had originally been charged with murder. Assistant Commonwealth�s Attorney James T. Redwine is recommending a 15-year sentence. She was too young to be eligible for the death penalty, but Ball faced up to life in prison if she had been found guilty of murder. Ball, Dodson and Golsby then conspired to lure White to the home. Ball was there as Dodson and Golsby were lying in wait with knives. The two men immediately began to attack White. Ball never attempted to get help for White despite living within walking distance of the police station. On the following day, Ball served as a lookout as Golsby, Dodson and two other co-defendants put the body in a wheeled trash can to move it from the house�s basement to nearby train tracks. Ball�s mother had been jailed prior to the killing after child protective services came to her house and found that the heat and electricity had been cut off for weeks. Ball was wearing an ankle bracelet monitor ordered after she began to skip school. A teen girl originally charged with murder was sentenced today to 15 years in prison. Emily Ball, now 16, pleaded guilty Feb. 1 to first-degree conspiracy to commit assault, first-degree unlawful imprisonment and tampering with physical evidence. Prosecutors dropped the murder charges in exchange for her guilty plea. Ball was the last of six people – and the only juvenile – to be convicted in connection with the killing of Travis White. Ball’s attorney, Amanda Mullins, had asked that her client be sentenced to probation. While Kenton Circuit Judge Martin Sheehan didn’t grant that request, he will be able to reconsider probation on Ball’s 18th birthday. Under Kentucky law, a juvenile sentenced as an adult is resentenced at the age of 18. At that point, Mullins said, she would renew her request for parole. Ball will remain in a juvenile detention facility – rather than adult prison – until she is 18. Assistant Commonwealth’s Attorney James T. Redwine recommended a 15-year sentence. Ball was too young to be eligible for the death penalty, but Ball faced up to life in prison if she had been found guilty of murder. Ball admitted that she told Dodson and Golsby that White had physically assaulted her because she refused to “sleep” with him. Ball later admitted to investigators that she lied about being assaulted. On the following day, Ball served as a lookout as Golsby, Dodson and two other co-defendants put the body in a wheeled trash can to move it from the house’s basement to nearby train tracks. Ball’s mother had been jailed prior to the killing after child protective services came to her house and found that the heat and electricity had been cut off for weeks. Ball was wearing an ankle bracelet monitor ordered after she began to skip school.